Get the hiring advantage with Big Wave Digital’s deep connections, industry expertise and specialist advisors. We want to make it easier for you to hire great people. Digital consultant, Key Account Manager, Campaign Manager, Account Manager, Business Development Manager, Sales Manager, Analyst, Product Manager, Mobile Marketing Specialist, Technical consultant, Data Analytics, Search SEO SEM, UX Designers. We’re proud to be working with some of the biggest brands in the business, along with some very exciting start-ups and SME’s experiencing strong growth. Big Wave Digital’s deep digital connections and power to go beyond the brief is helping great clients across Australia and San Fran. Here at Big Wave Digital, we’re finding amazing digital, data and technology people to transform businesses just like yours. Every day, we’re finding impressive Digital Media, Executive and Technical talent for our partners all over the world. In fact, that’s all we do. 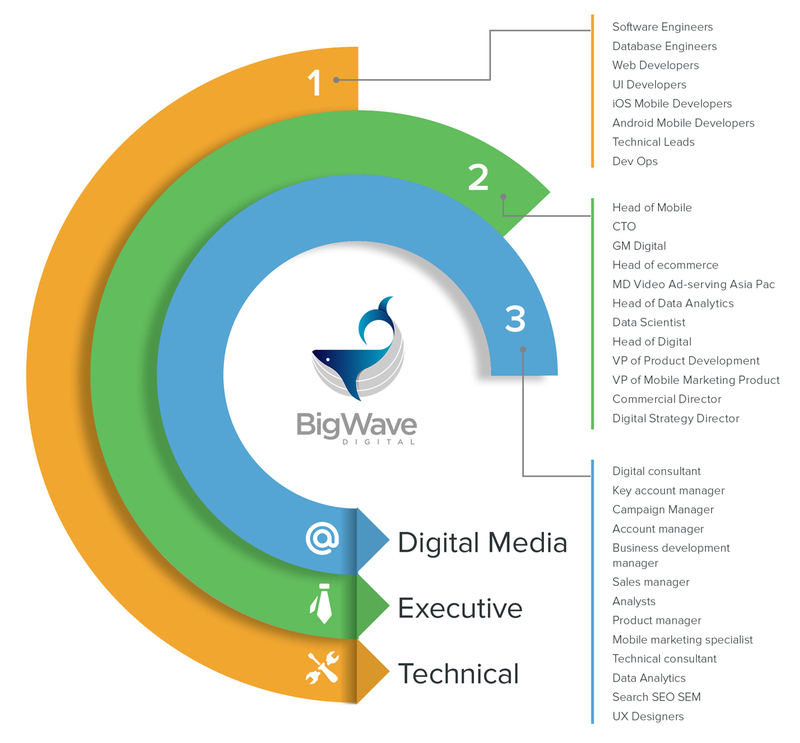 Big Wave Digital has been opening doors for great people across Australia, New Zealand and SF for over 7 years. So you can leave the searching to us. We’ve got this covered. Want to find better staff easier? Talk to our award winning team at Big Wave Digital.